Children are truly the greatest gift one can be given and should never be taken for granted. I feel each child was placed here on earth for a purpose. The greatest gift we can give back to our children is choosing to embrace them just the way they are. When my son Ty first told me he was the new real Santa Claus, it never really fazed me because I didn’t think he truly thought he was Santa Claus. I felt it was a passing thing very similar to an imaginary friend and in the beginning, at times I thought maybe Santa Claus was my son’s imaginary friend. 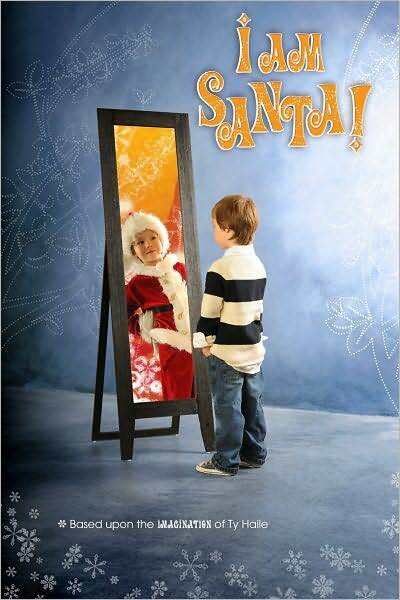 Everyday my son would walk around the house happily saying, “I am Santa Claus………I am Santa Claus.” My son saying he was Santa Claus soon became a part of everyday life. I never imagined when he spotted the Santa suit at the store and insisted I buy it for him that the suit would become a part of his daily life as well as ours. Some people told me I shouldn’t let him wear his Santa suit any day he chooses. But instead of listening to others, I have chosen to listen to my son. Simply wearing his Santa suit makes him so incredibly happy and makes me happy as well. Every time I look at him in his Santa suit I can’t help but smile. It’s as if it gives him an entire realm of confidence and good cheer. No matter how magical Santa Claus is though, we as a family found ourselves on the journey of a lifetime. Our journey wasn’t so easy in the beginning but through the laughter and tears has become the most amazing journey of our lives. We all learned how to embrace and accept each other as we are. Being positive and embracing each moment started becoming a part of our every day lives. This journey simply began with the words of my son Ty saying ‘I am Santa’ and has brought us to a place in which I had never imagined was possible. I now know how we live our lives and look at things is all a choice and a mindset. 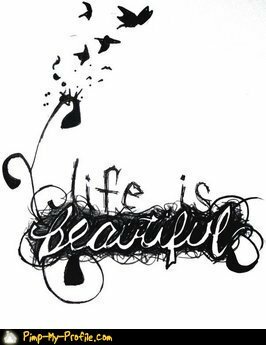 As a family each of us chooses to wake up every day and live fabulously. Every choice I make is because I want to continue living fabulously each and every day. I choose to look at difficulties and what one may consider negative events as opportunities. Believing in every situation lies an opportunity changes ones mindset to the positive side. This journey has also helped me to acknowledge the accomplishments of others. By acknowledging others it brings to the forefront how we are all special in our own way. I no longer am a driving force behind my children to be better than every one else. Instead, I help my children as well as myself to strive to be the best we can be, always making sure to try our best at everything we do. Most importantly on this journey I found my own imagination again. I had hidden my imagination away deep inside of me for so very long but because of Ty I have it again, which I am forever grateful for. My little Santa truly inspired and touched my life, which is what truly led me to write the book ‘I AM SANTA!’ A book I would love every one of all ages to read so he can touch their lives as well. Everyone should understand, just because we age in years, it does not mean we have to grow up and be a grown up. No matter what age a person is, they can still have an imagination and know they have wings to fly anywhere with their bright light inside of them to guide them and shine upon others along the way. Californian Kristy Haile earned an Associate’s degree in Dental Hygiene from Northeastern University in Boston and then worked as a hygienist in Massachusetts and California. She moved from her hometown of Turlock, CA to Los Angeles, where her two children became actors on TV (The Office, Criminal Minds, Desperate Housewives), movies (Chihuahua: The Movie) and in commercials. At age 4, son Ty came to believe he was Santa Claus. Haile kept a journal of the funny and unusual things her son said and did over the next two years, as well as of people’s reactions to his self-identification as the “new real Santa Claus.” That journal was the basis for her latest book, I Am Santa. 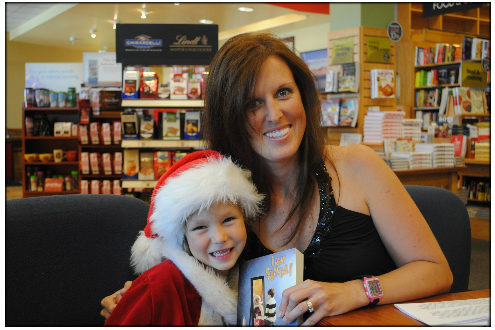 You can visit the ‘I AM SANTA!’ website at www.iamsantabook.com to connect with Kristy.